Today, Chris Westcott, author of In the Shadow of Tyranny – A Novel of Ancient Rome, has agreed to answer a few questions about his writing. Many thanks, Chris. What is it about ancient Rome that fascinated you enough to write a book on it? When I was about five years old my parents gave me a book that had belonged to my Dad, it was a children’s book describing the history of Romans in Britain. The illustrations were incredible and, as children tend to do, I read the book a hundred times. Agricola, a key character in my novel, was prominent in this children’s book and I guess this must have stayed buried at the back of my mind. In 2005 I read Conn Iggulden’s Emperor series and it was literally a life changing event, from that moment I wanted to understand as much as I could about every element of life in ancient Rome. Later as my new found passion lead me to history books I learned about the incredible events in Judea and I realised I wanted more people to know about that often overlooked piece of Roman history, when I discovered I could combine that with telling some of Agricola’s story I couldn’t grab my laptop quick enough! How much of the book is based on fact and how much is fiction? All the key events in the book and the majority of the major characters are based on real people albeit I have imposed my own take on their personality and character. The main character is a fictional creation that I have placed in that world to tell the story. Tell us something surprising about ancient Rome. I have always been fascinated by how much ancient Roman history impacts on us today – the calendar we use, the names of the months of the year, the legacy of Roman architecture and engineering, the influence on our political and legal systems to name but a few examples. Learning about ancient Rome has allowed me to view the world around me today with a fresh pair of eyes. Tell us about the main character. The main character is fundamentally a good man who is caught up in the events around him. I deliberately gave the character an unusual upbringing as I wanted him to view Rome and the Empire with a naivety that would both endear him to the reader and to allow me to describe the emotion of someone faced with loss, love and achievement. As much as possible I wanted to create a character a reader could engage with albeit in the context of a story set 2000 years ago. 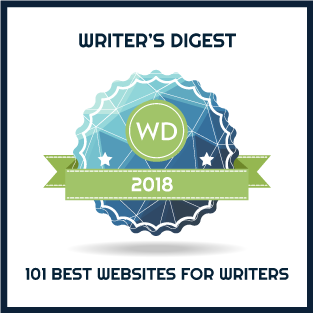 How do you research your novels? Initially my research consisted of reading as many fictional and non-fictional books on the time period as possible. As the story began to solidify in my head I started to target the research to the specific time periods and geographical locations. I find it challenging to tread the fine line between having enough detail to create the world of ancient Rome for the reader and disrupting the pace of the story with description so my research tends not to be overly detailed. Do you write about any other periods of history? Not at present but I am fascinated by the idea of a series of novels based around the exploits and achievements of Sir Francis Drake , Sir Walter Raleigh and Sir Richard Grenville. It was an age of exploration, conquest, heroic military achievement and political intrigue – in short all the ingredients that make for great historical fiction. Who are your favourite historical fiction authors? Who is your work influenced by? There are a few but the legend that is Bernard Cornwell for me stands head and shoulders above all others. His ability to educate on a specific time period while creating the most captivating characters and storylines is nothing short of genius. With regards to ancient Rome, Conn Iggulden, Simon Scarrow and Steven Saylor are the real standouts. It was Conn Iggulden’s Emperor series that first sparked my interest in Rome and from there I haven’t looked back. I must also make mention of David Gemmell. Although primarily known as a fantasy writer his trilogy based around the stories of Troy were some of the finest historical fiction novels I have ever read. What are you working on next? 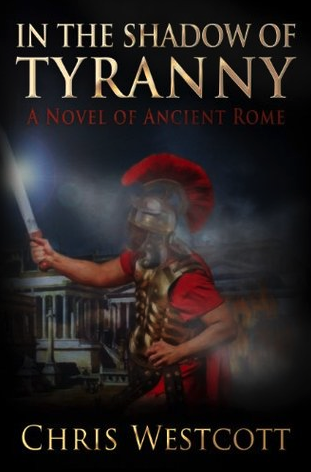 I am currently finishing another novel set in ancient Rome. This will be the first in a two-part story of brothers caught in opposing factions in the ‘year of four Emperors’. The time period is similar to my first novel but this new series allows me to really explore the incredible events that took place in what is arguably the most eventful year in the entire history of the Roman Empire. Inspiring thoughts, Chris. I wish you lots of success with In the Shadow of Tyranny. Your research process must be so much more difficult than mine which focuses primarily on WWI. When the Emperor Nero causes the death of his parents, Gaius sees his future dreams and aspirations brutally shattered. Unexpectedly thrown a lifeline by Vespasian, his father’s closest friend and a celebrated military leader, an offer of a role in the campaign for Judea, finds him playing a pivotal role in the epic battle for Jerusalem. Summoned back to Rome by Domitian, the new Emperor and his lifelong friend, Gaius finds his friend a changed man, a man capable of cold-blooded murder, and Gaius is swiftly dispatched to distant Britannia with orders for the island’s legendary governor, Agricola. Forming a mutual respect with Agricola, Gaius embarks on a campaign that will end in triumph and terror, as with the opportunity to expand the Empire within their grasp, Gaius will find himself facing a choice on which the lives of his family and the fate of an Empire will hang.